Thugs Of Hindostan Review: Fatima has a few scenes in which she comes into her own, but Katrina is used primarily to liven up the songs. 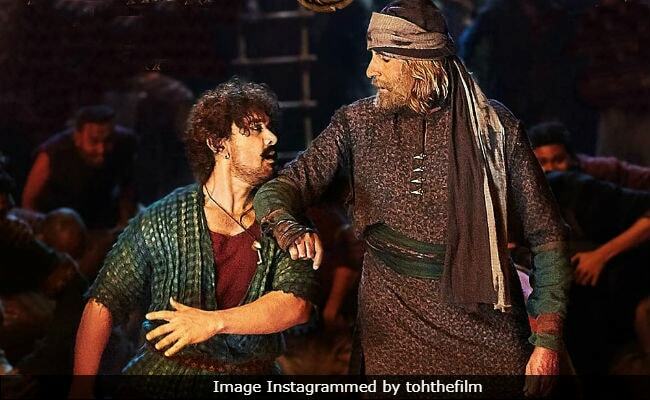 A gravelly-voiced Amitabh Bachchan and a puckish Aamir Khan bring everything that they have - the combined weight of the two superstars is undeniably significant - to the table, but director Vijay Krishna Acharya's screenplay and the film's big-budget surface veneer lack the solidity to guide this overwrought vessel out of the deep waters. What this aspiring blockbuster proves conclusively is that no matter how glossy a film is and how unique it might seem in the Indian context, there can be no substitute for an intelligent script and enterprising direction. Amitabh Bachchan plays Khudabaksh Jahaazi, a dyed-in-the-wool patriot who marshalls his people against a tyrannical British officer named Clive (Lloyd Owen). Is he the Robert Clive that we know from our school history books? It really doesn't matter. For one, Robert Clive died well before 1795, the year in which Thugs Of Hindostan opens. The character is, of course, ruthless in dealing with the Indians that he has been sent out by the Empire to tame and exploit. The heroic and invincible Khudabaksh, on his part, is completely beyond the control of the Company. He spouts philosophy about bravery, trust and the courage to dream. He declares in one scene that freedom isn't a dream. It's a yakeen, a firm belief. The veteran actor delivers that line - and all the others peppered though the film - with customary panache, but given the confused tone of the film - it flits between the earnest and the frivolous - that piece of dialogue is lost in a maze of dramatic detours. Aamir Khan, complete with kohl-lined eyes, ear rings and a nose pin, slips into the skin of a shifty Firangi Mallah, a duplicitous mercenary who thinks nothing of repeatedly switching sides for a few guineas more. His character is placed here as the counterpoint to the imperious Khudabaksh. Betrayal is the man's defence mechanism. When he is called upon to shed his deviousness, he has to grapple with conflicting impulses. Had he played the role with a little more subtlety, it might have passed muster as a variation on the classic anti-hero. The two lead actors are required to tilt heavily towards the excessive - the former is overly stuffy; the latter is a comic conman who has to resort to runaway methods to raise a few laughs. You do laugh but not at the gags but the silliness of the endeavor. Wherever Khudabaksh goes, he is followed by a computer-generated falcon, which, too, gets its moment in the sun, albeit briefly, late in the film when the winged creature prevents Firangi from turning his back on a crucial mission assigned to him. Going by the lingo that Firangi employs and his repeated references to Awadh, it is fair to surmise that north India is the setting. In one scene he claims he belongs to gaon Gopalpur, zila Kanpur; in another, he traces his origin back to gaon Rasoolpur, zila Fatehabad. But the jungle hideout of Khudabaksh's 'azaad' army is on either side of a creek by the sea, which allows the comings and goings of sea-faring vessels. Clearly, geography isn't the film's forte - Thugs Of Hindostan goes wherever its whims takes it. If one is able to take this cavalier approach to locations - the argument could be that the film borders on a fantasy and so we should cut it some slack - some parts of it might actually work. Thugs Of Hindostan is also a tad mixed-up in its idea of religions and cultures. While the principal characters are mostly Muslim, the rituals that they perform reflect Hindu practices. Is this a blow for positive integration or just plain negligence? The climax of the film unfolds in a fort on a Dussehra day and the burning of Ravana, symbolizing the triumph of good over evil. The cliché is couched in what could be seen as a departure from norm - it is one of the two heroines who gets to slay the demon. 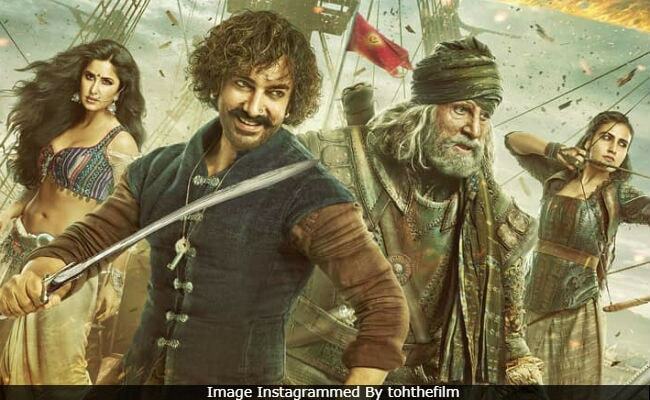 Glitzily mounted but caught between solemnity and fluffiness, Thugs of Hindostan might entertain large swathes of the audience, but it is ultimately too tacky and unconvincing to lay legitimate claims to being India's answer to Pirates of the Caribbean. It isn't even a poor copy.